Typhoon Haiyan swept across the central Philippines last Friday leaving a trail of massive destruction in its wake. The typhoon affected 4.3 million people across 36 provinces. At least 10,000 people are feared to have been killed and thousands of survivors desperately require aid. 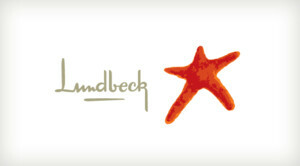 Lundbeck management (CMG) has decided to initiate a fundraising campaign to help people in the Philippines affected by the Typhoon. The donation period will last for the next two weeks. If you wish to make an anonymous contribution, just check the appropriate box on the donation form and your name will not be visible. When the donation period has ended (Saturday the 23rd of November), the amount you have donated will be matched by Lundbeck. The donations will help Red Cross with their work in the Philippines. Thank you for your donation.